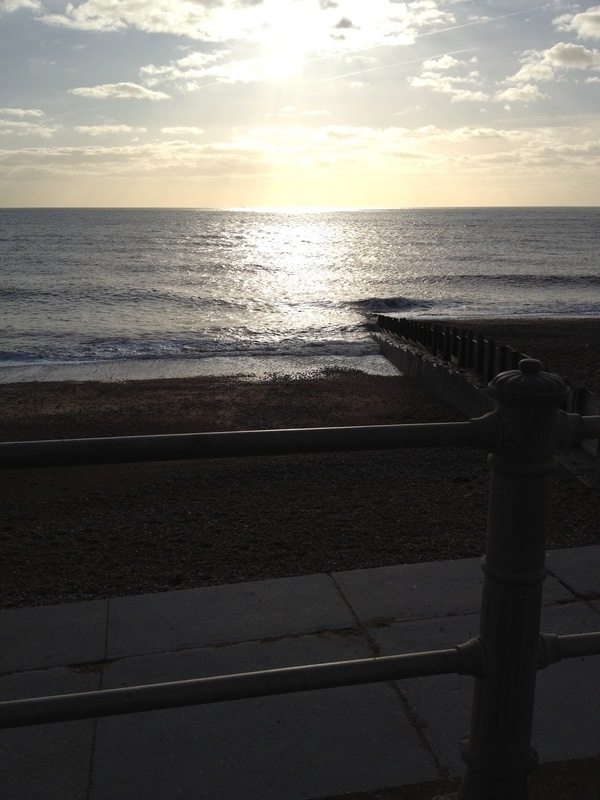 We thought it was always sunny at the seaside…. Looking across the valley to the Country Park (we have a house in Harold Road), I see the rain sweeping past the window in great billowing gusts. The ‘Harold Road Surgery’ sign has blown down into the road, and is smashed in fragments against the wheels of the parked cars. No sign of our neighbourhood cormorant – he perches on the roof of the house opposite to preen himself and dry his wings. I guess he catches his food in the little fishing lakes behind the surgery. I am surprised more have not caught on to this easy source of food. The habits of the local seabirds are a bit mysterious to me as yet – in the summer we had gulls nesting on the chimney, then later in the year they seemed to disappear, presumably out to sea, but now a number are back again… is it because it is too rough out there, or what? For newcomers, we have already had a lot to do with the gulls – they also nested on the chimney of our last house, a little rented place on the West Hill. One of the babies fell out, we caught it, and the Philosopher climbed up to put it back on the roof. Mrs Gull was furious and attacked him, scratching his head. Later, we saw one of our neighbours tackling a similar task – carrying an open umbrella to protect his head. It must take years of practice to climb a ladder holding an open umbrella while carrying a struggling baby gull….. Many locals seem to dislike the gulls. I don’t warm to them as creatures – they look so angry all the time, but they are part of seaside life, and belong here, certainly more than us. Our first ever night in Hastings was spent in the excellent Swan House guesthouse in the Old Town, but we scarcely slept because of the gulls’ screeching. Now we scarcely notice. Previous Post Daffodils on 2 January? First in the district?